"The Taming of the Shrew" is a short comedy based on the play of Shakespeare. The film is included in our program to illustrate the work of our stars Florence Lawrence and Billy Bitzer. The first thing we want to do is set the record straight about the name of the actor playing Petruchio. All major movie sites, including IMDB and Silent Era, as well as Wikipedia, cite the name of Arthur V. Johnson, but this is wrong. We cannot see Arthur V. Johnson in this film. We will appreciate your tips about the identity of this actor. In the meantime we will call him Petruchio. Florence Lawrence delivers an inspired and truly stellar performance as the ill-tempered Katherina. 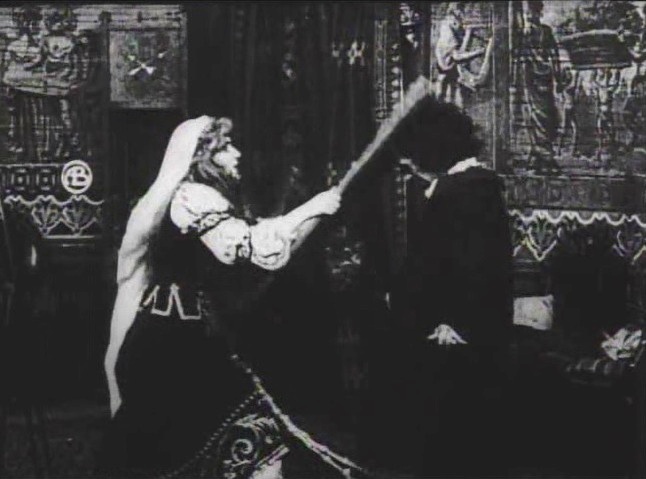 Florence Lawrence punishes a servant in "The Taming of the Shrew" (1908), directed by D. W. Griffith. 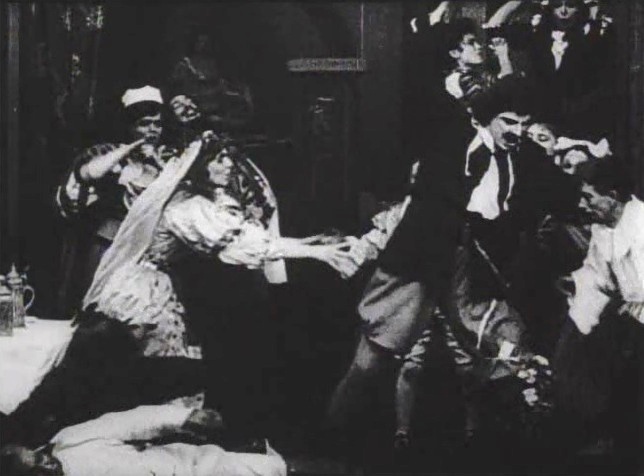 Florence Lawrence has George Gebhardt recoil in horror in "The Taming of the Shrew" (1908), directed by D. W. Griffith. 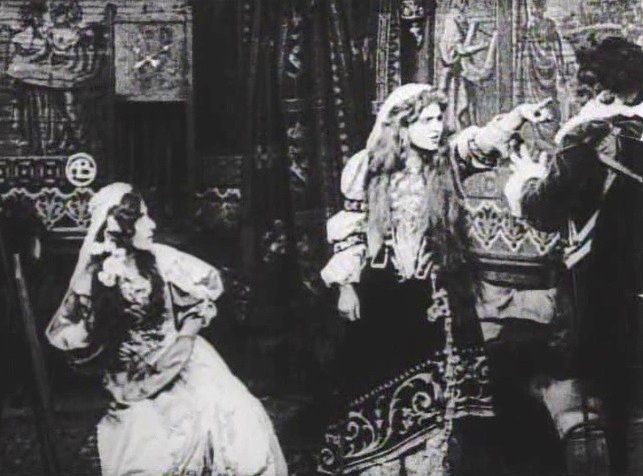 Florence Lawrence takes aim at another guest as Linda Arvidson watches helplessly in "The Taming of the Shrew" (1908), directed by D. W. Griffith. 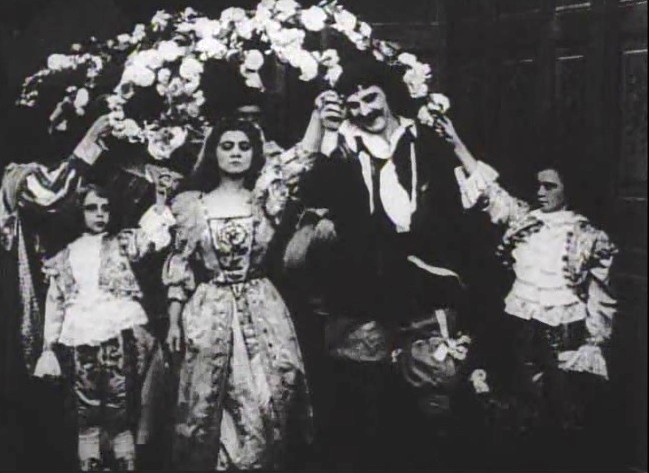 Florence Lawrence is introduced to a musician, who seems horrified in "The Taming of the Shrew" (1908), directed by D. W. Griffith. 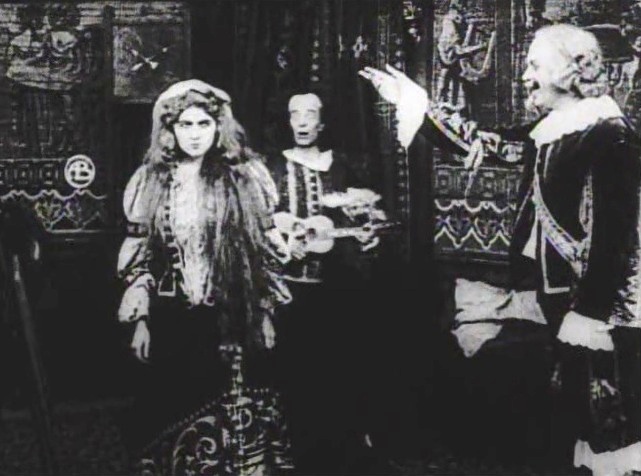 Florence Lawrence is not impressed as Harry Solter seems to pray for a miracle in "The Taming of the Shrew" (1908), directed by D. W. Griffith. 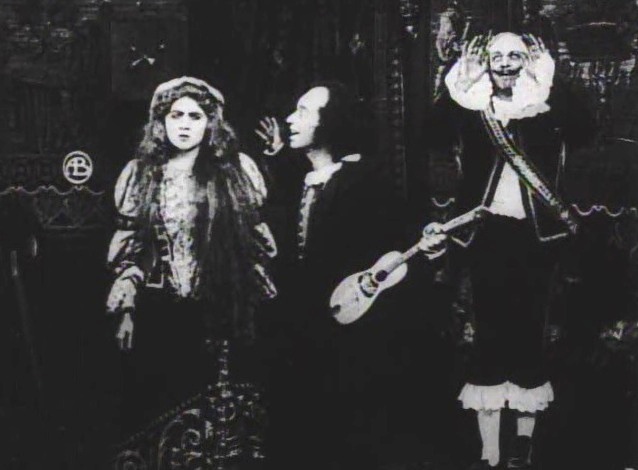 Florence Lawrence is fed up with the musician in "The Taming of the Shrew" (1908), directed by D. W. Griffith. Florence Lawrence is in a bad mood during her wedding in "The Taming of the Shrew" (1908), directed by D. W. Griffith. 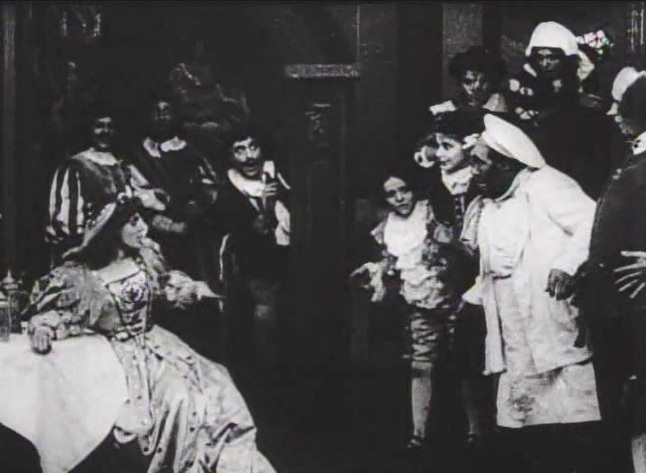 Florence Lawrence will soon show her temper in "The Taming of the Shrew" (1908), directed by D. W. Griffith. 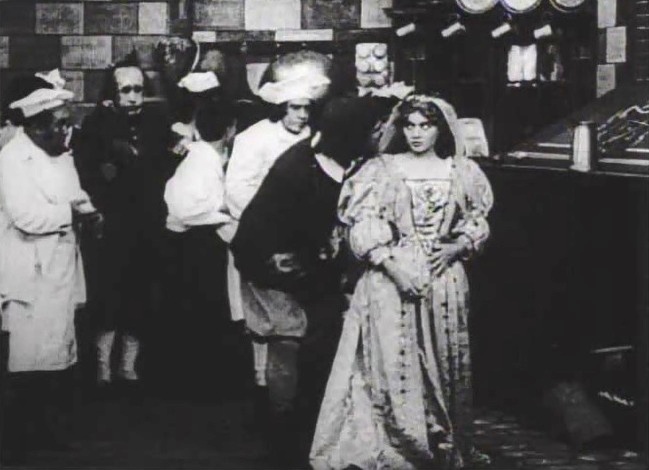 Florence Lawrence looks to discipline the servants in "The Taming of the Shrew" (1908), directed by D. W. Griffith. 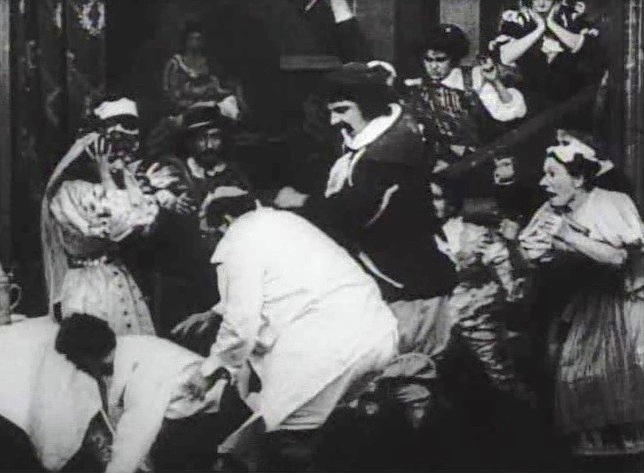 Florence Lawrence wants Petruchio to stop beating the servants in "The Taming of the Shrew" (1908), directed by D. W. Griffith. 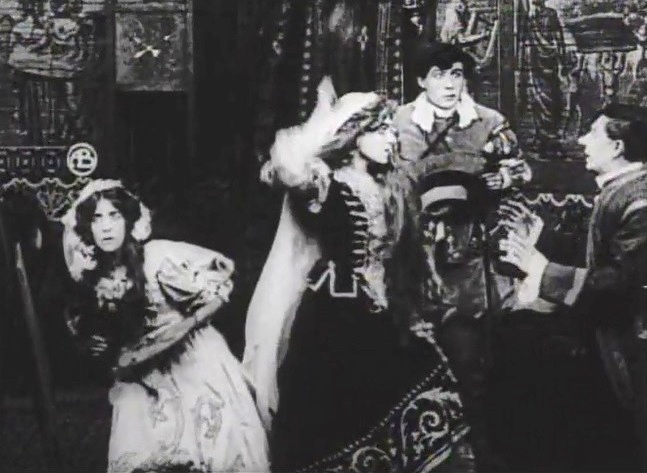 Florence Lawrence is horrified as Petruchio keeps beating the servants in "The Taming of the Shrew" (1908), directed by D. W. Griffith. 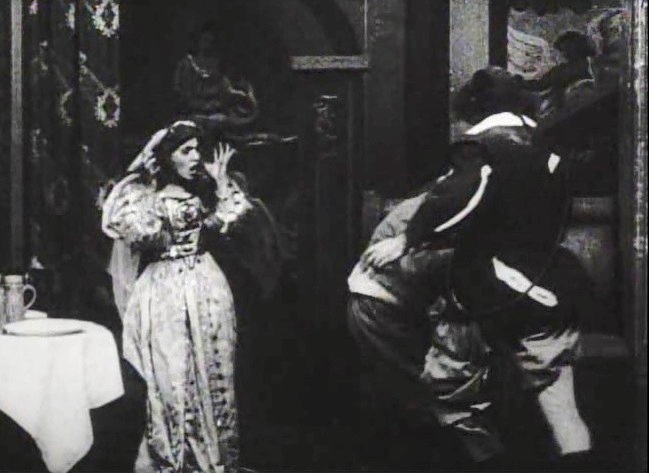 Florence Lawrence is horrified as Petruchio stops to see the effect of his taming measures in "The Taming of the Shrew" (1908), directed by D. W. Griffith. 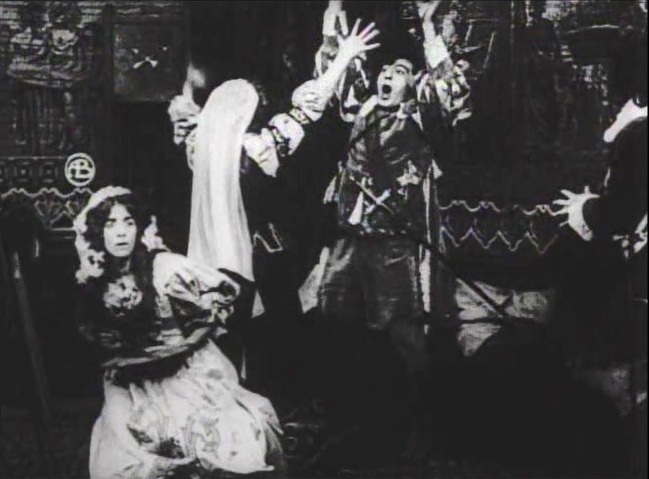 Florence Lawrence is horrified as Petruchio keeps his taming measures in "The Taming of the Shrew" (1908), directed by D. W. Griffith. 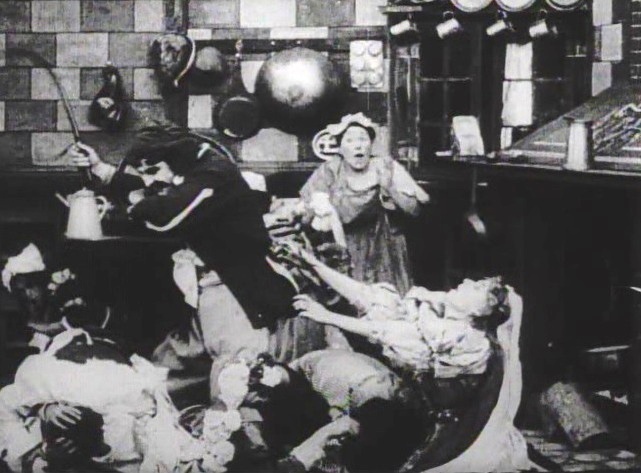 Florence Lawrence seems to show real fear of Petruchio in "The Taming of the Shrew" (1908), directed by D. W. Griffith. 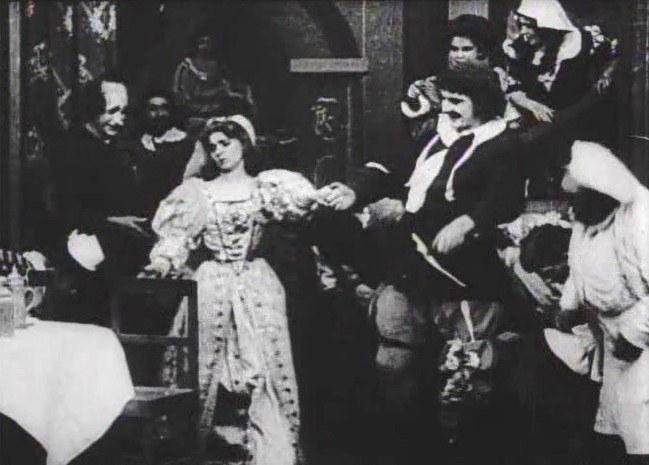 Florence Lawrence does not yield when Petruchio verifies the effect of his taming measures in "The Taming of the Shrew" (1908), directed by D. W. Griffith. 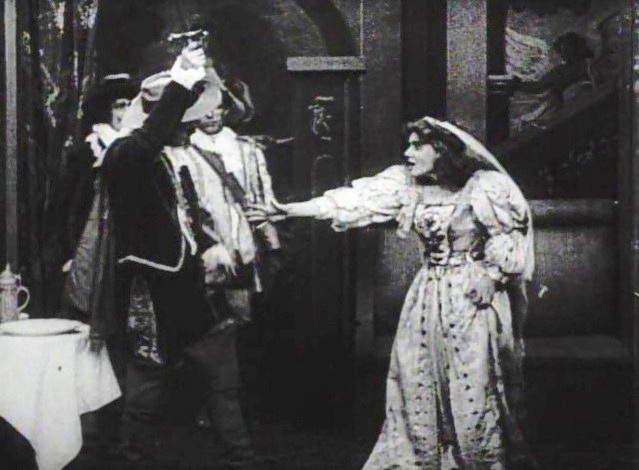 Florence Lawrence gets really desperate as Petruchio extends his taming measures in "The Taming of the Shrew" (1908), directed by D. W. Griffith. 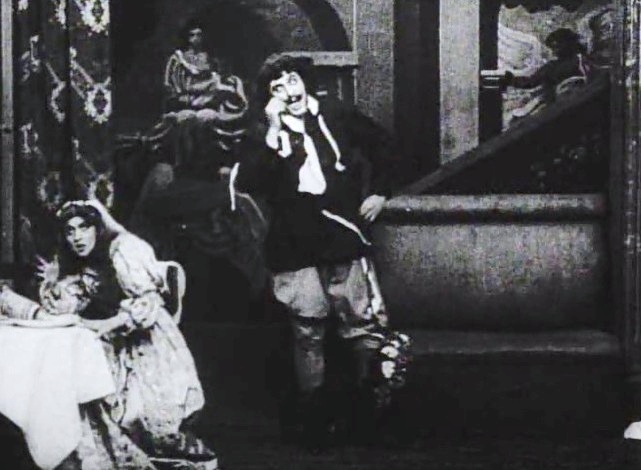 Florence Lawrence asks her father to take her home in desperation in "The Taming of the Shrew" (1908), directed by D. W. Griffith. 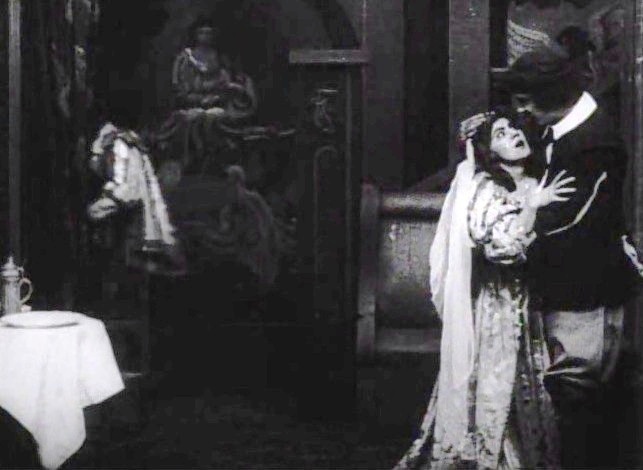 Florence Lawrence is finally tamed as she is embraced by a victorious Petruchio in "The Taming of the Shrew" (1908), directed by D. W. Griffith. 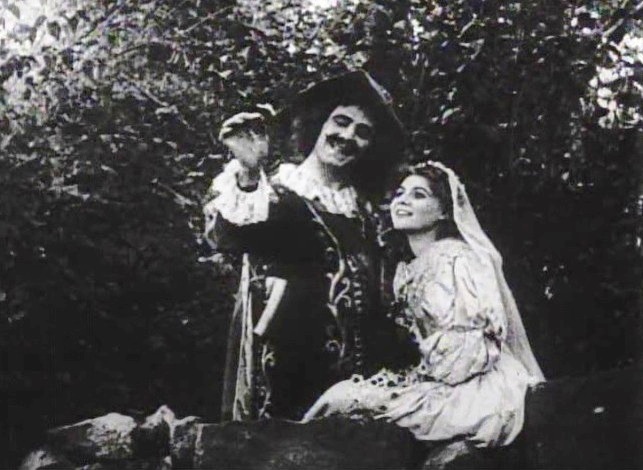 Florence Lawrence and Petruchio enjoy a day out in "The Taming of the Shrew" (1908), directed by D. W. Griffith. 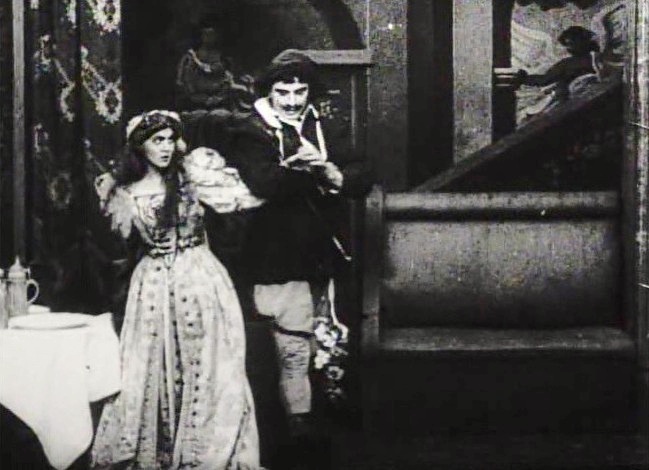 Florence Lawrence is the tamest girl that ever lived in "The Taming of the Shrew" (1908), directed by D. W. Griffith.